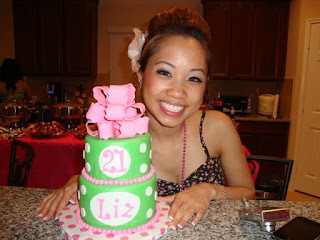 Cakes by Dusty: Happy 21st Birthday Liz! This cake was a surprise for Liz, ordered by her sister. The bottom is chocolate cake and the top is vanilla. Both layers have cream cheese filling. Iced in buttercream and covered in Satin Ice fondant. 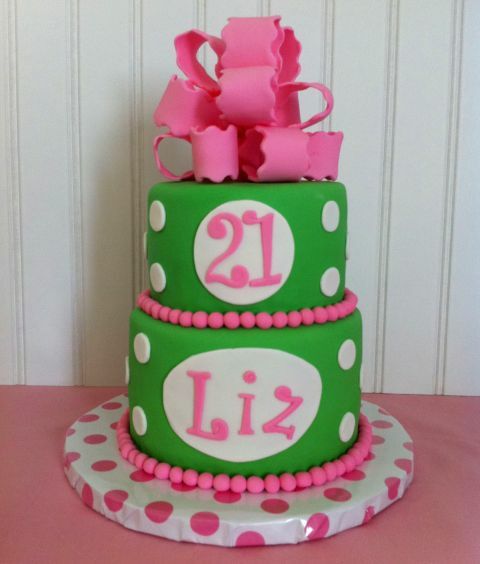 The bow on the top is made of gumpaste. I am a self-taught home baker who loves photography and all things whimsical! Thanks so much for visiting my blog!